I had Mirchi Bhajji once at one of our friend's place and I really really loved it. And since today morning I have been craving for this tangy, spicy and chatpata snack. So I prepared this Mirchi bhajji as an evening snack and treated myself with it. I have prepared it both the way deep fried and in Air fryer. We loved both the versions of it. They are enhanced with yummy chat masala and some Indian spices. 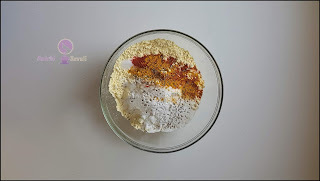 Then there is a brilliant method of air frying and making them a crispy and healthy version. 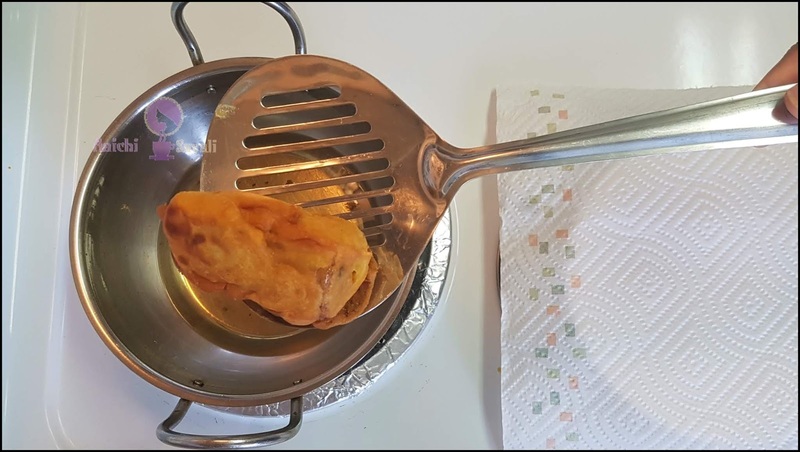 Deep frying ensures you will get that extra crispy exterior, which is the sign of a great pakoras/Bhajji. Perfect for appetizer or snack or starter! 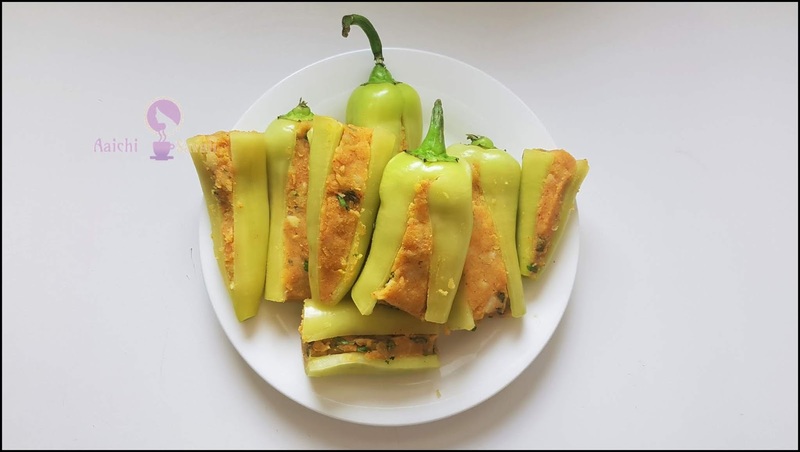 Mirchi Bhajji is a scrumptious Indian street food is also known as Mirchi vada. In this recipe, green chilies are stuffed with tangy and spicy potato stuffing, which is prepared with boiled potatoes and added some Indian spices and chaat masala to give it a unique taste which compliments the hotness of the Mirchi. 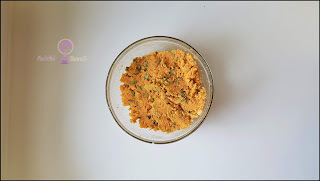 However, you can also make simple bhajji without stuffing if you prefer to. How to make the Mirchi Bhajji/Pepper Fritters gluten free? 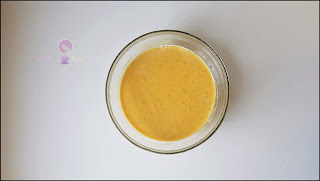 Simply use besan/gram flour/chickpeas flour or rice flour while preparing the batter. 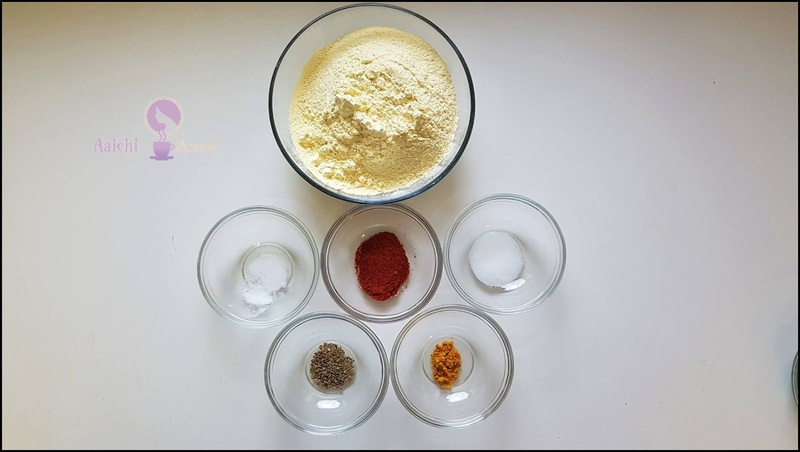 Chickpeas flour is not only gluten-free but also filled with good protein and fiber, which will also give the fritters a staying power boost. I really recommend this GoWISE Air Fryer. It can accommodate 4-5 fritters at a time and for this recipe only needed two batches to make all of them. Buying a bigger size air fryer will cost you a few dollars extra initially, but you'll save running cost and most important time while using it in the kitchen. Do not have an Air Fryer? No worries, simply heat oil in a kadhai and deep fry them until they become crispy and golden brown in color. Or heat a frying pan with a 2-4 tsp oil and cook fritters until well done. 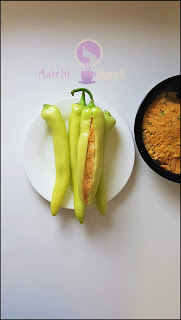 How are these Mirchi Bhajji Healthy? 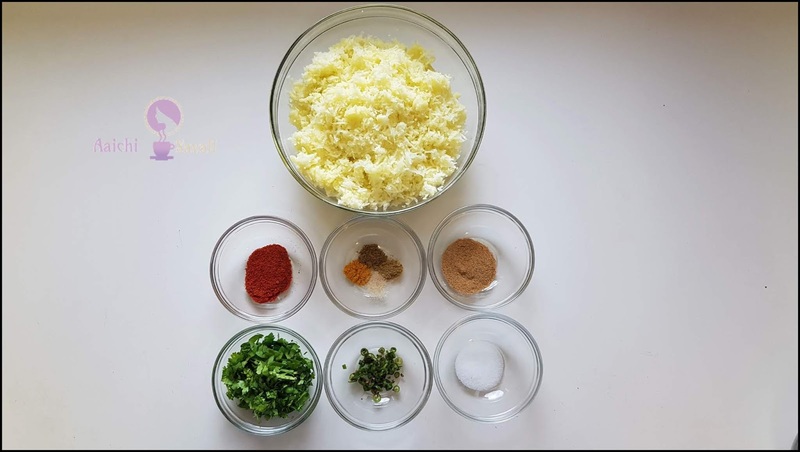 These Bhajji do not contain any cheese or butter and are low in saturated fat. They contain all the nutrition from fresh green pepper, chickpeas flour, veggies and herbs, and spices. 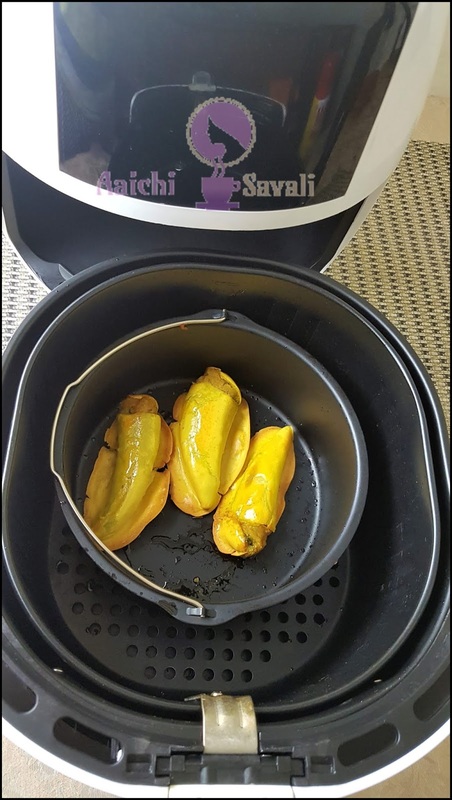 Each serving of Mirchi Bhajji (Fried) Contains 130 Calories, and Air fryer Mirchi Bhajji Contains 80 Calories. 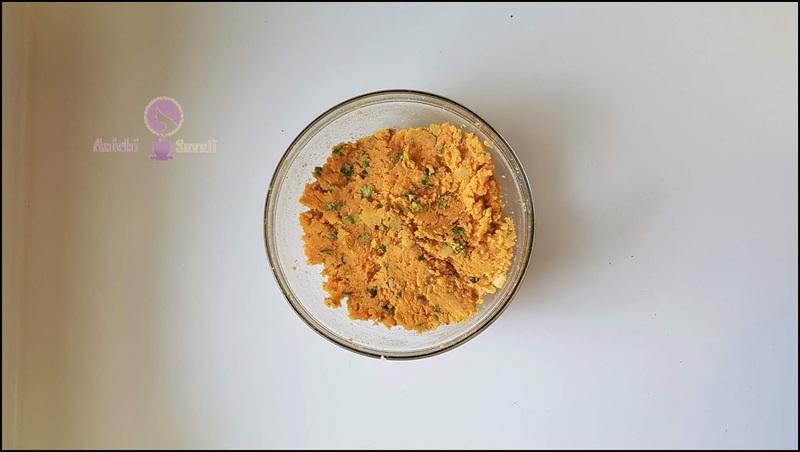 In a bowl add besan, red chili powder, turmeric, carom seeds, salt, and baking soda mix well. Add water and make a smooth batter and keep aside. 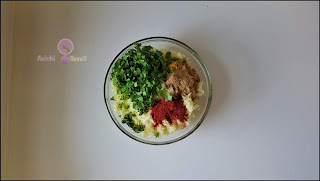 In a bowl add boiled potato, red chili powder, turmeric, cumin powder, green chilies, amchur powder, salt, and coriander leaves and mix well. Slit green chilies at the center and remove seeds and stuff the potato stuffing into the chilies. 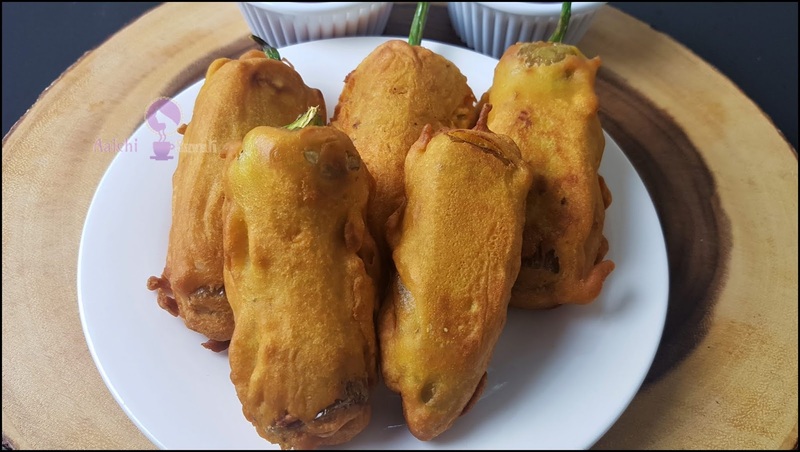 Dip the stuffed chili into prepared besan batter, coat, and deep fry till it becomes golden brown color. Here, Mirchi Bhajji is ready to serve, serve hot with tamarind and dates chutney, tomato ketchup or with pudina chutney. Enjoy!!! Per serving contains 130 calories, along with 13 g carbohydrates, 2 g dietary fiber, 7 g fats, and 3 g protein. Preheat Airfryer at 370 F for 3 minutes. 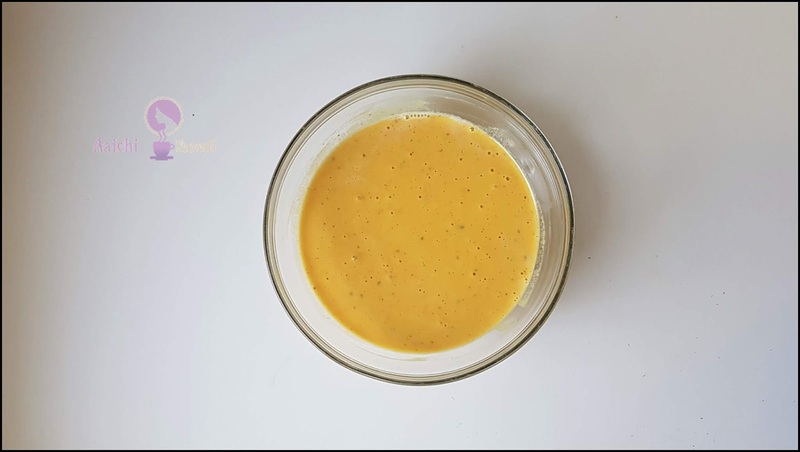 Dip the stuffed chili into prepared besan batter, coat and transfer to the basket or air fryer safe pan(spray pan or air fryer basket with the oil). Air fry from both sides for 6-7 minutes or until golden(flip them after 3 minutes). 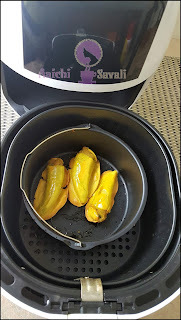 Remove from air fryer and repeat the procedure with the remaining stuffed chili/Mirchi. Tadaa, oil-free and tasty Mirchi bhajji ready to serve. Serve hot with tamarind and dates chutney, tomato ketchup or with pudina chutney. Enjoy!!! Per serving contains 80 calories, along with 13 g carbohydrates, 2 g dietary fiber, 1 g fats, and 3 g protein. 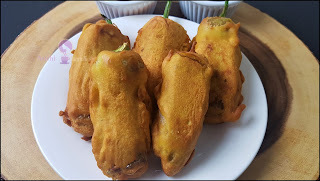 It is good to eat Mirchi Bhajji/Pakoras as a snack, appetizer or starter.